Running can be a good cardiovascular workout for women and with the popularity and affordability of home treadmills, running maintains its status as a popular form of exercise. 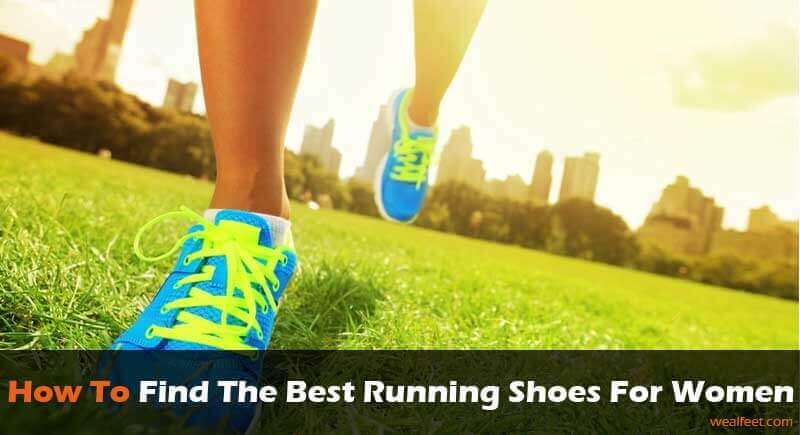 If running is something you want to do regularly, you will need to invest in the right kind of shoes. It’s better that you select shoes specially designed for running as opposed to sport-specific shoes, as this helps to minimize injury to your feet, joints, and legs and to help you perform at your best. You will feel the difference running shoes make when you decide to run farther or longer. Running shoes might cost a little more, but if you search hard enough, you can find decent ones out there that strike a good balance between quality and price. Just make sure you don’t waste your money on poor quality, cheap shoes which won’t last you more than a few runs. You also want to consider a shoe tailored for a particular function, such as stability or cushioning. Most important of all, the shoes must fit your feet perfectly to avoid them slipping off or causing accidents like stumbling or tripping. 2.1 1. What Style Do You Prefer? 2.2 2. Which Form Do Your Feet Have? 2.3 3. How Well Do the Shoes Fit Your Feet? Known for comfortable cushioning shoes, Saucony continues their success with the Saucony Guide 9. This running shoe is well-padded but moderately light and even the collar feels soft and comfortable. The shoe’s top area is made of superior breathable material and it feels flexible all around. The sole is also built for durability and provides comfort and smooth transition. The style is pretty good as well, attractive without being too flashy. If you need a running shoe with ample cushioning, the Asics GEL-Nimbus 18 is a terrific choice. Your feet will thank you for the softness and comfort all through your run. It features a durable and sturdy outsole and top quality material that facilitates air flow throughout the shoe keeping your feet dry. It’s also designed for stability and maximum support, plus you’ll love the smooth and sleek look. Setting the standard for trendy style and vibrant colors is the SkechersGOrun Forza. It doesn’t just feature great looks; however, it’s also quite a performer. This running shoe offers plenty of cushioning but is still fairly flexible. Its material is breathable for a moisture-free interior. Compared to other models, it feels light on your feet and it’s recommended for low arches because of the stability it provides. With these shoes on, your running experience is always one of smoothness and comfort. The New Balance 1080 is a well-built top quality neutral shoe that brings stability balanced with support. The cushioning provided is superb, making it ideal for running longer or farther. At the same time, it feels moderately lightweight and won’t strain your feet or knees. When it comes to supporting, this shoe also delivers and it absorbs impact on the heel very well. Larger sized people with wide feet can also appreciate the excellent fit of this shoe. Running is undoubtedly smooth, comfortable and quiet with the Nike Lunarglide 7. This fantastic running shoe leads the market with its unique mesh material and foam cushioning technology. The stability offered by this shoe is the perfect support for flat feet, and the lightweight feel of the shoe is among the best. With its plush interior, it fits securely, but it also provides top of the line flexibility. 1. What Style Do You Prefer? If you want to focus on distance running, the shoes that can serve you well would be those with extra cushioning. These types of shoes are well-padded with a variety of materials such as foam or gel. They absorb the impact from the strong contact of your feet with the ground, to shield your feet, back, and joints. There are also shoes that keep you steady while you’re in motion, helping you maintain the right posture. These types are stability shoes and they provide the best support for your feet. Other shoes are also made for safely traversing rough landscapes. These grip shoes are often waterproof as well. Lastly, if you prefer shoes that are not bulky or heavy, you can opt for the lightweight shoe types. 2. Which Form Do Your Feet Have? The shape of our feet can be classified into three kinds: overpronated, under pronated or neutral. Overpronated feet are usually referred to as flat feet or low arch, where the arch in the middle of the foot is lower than normal. Motion control and stability shoes are recommended for flat feet. If you have under pronated feet, it means that you have high arches or the curve in the middle of your feet is more pronounced. Cushioning shoes are best for high arches. As for neutral or normal feet, the arch is a moderate one so you can safely use stability shoes. 3. How Well Do the Shoes Fit Your Feet? Aside from just making sure you feel comfortable while wearing the shoes, you will need to find out how well they fit. To determine if the shoes are a good match for your feet, check specific areas like the length, width, heel, and instep. You’ll know the length is just right if you can still move your toes and if there’s a very slight gap between your toes and the shoe. Width-wise, a slight gap should also be found between the sides of your feet, especially your toes, and the shoe. The heel is another important factor. The shoe should be clasping your heel closely but not too tightly. Also, don’t forget the instep; the shoe’s upper portion should enfold your instep but leave a little room for comfort. Now you know how to get the best shoes. Brand-wise, if you don’t know where to start looking, here are some of the best shoes to consider.